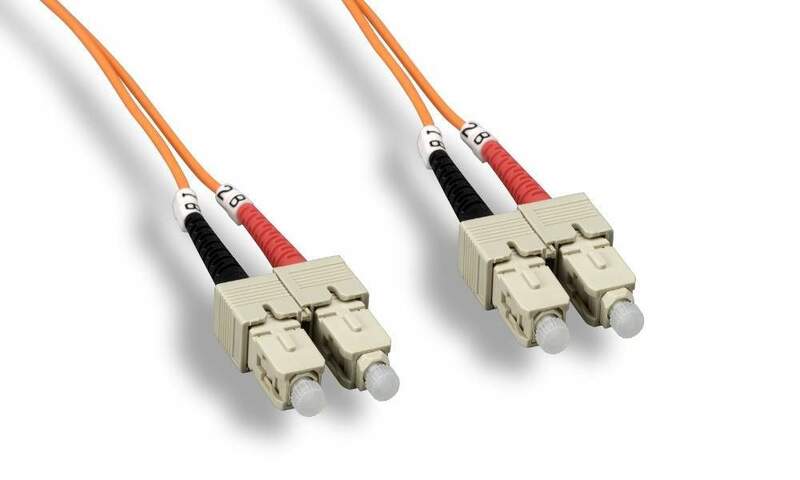 High-quality fiber optic patch cable designed with SC to SC termination, and is perfect for Ethernet, multimedia, or communication applications. The SC connector features a push-pull locking system. The patented Injection Molding Process gives each connection greater durability in resisting pulls, strains and impacts from cabling installs. Each cable is 100% optically inspected and tested for insertion loss before you receive it. The pull-proof jacket design surrounds the popular 62.5/125 multimode fiber.